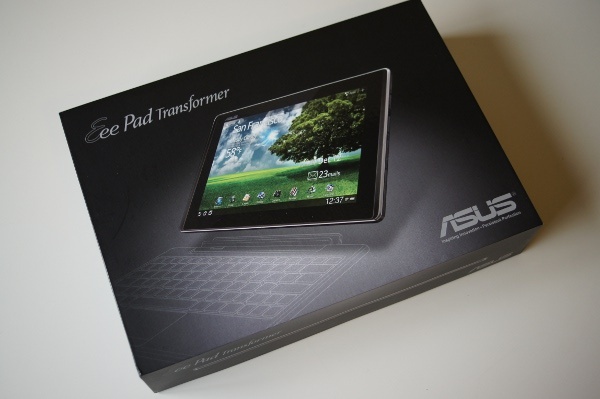 Contest: Enter to Win a 16GB Asus Transformer! To kick off our first ever Reader Appreciation Week, we are giving away the Asus Transformer (16GB) which just so happens to be one of the hardest tablets on the planet to get a hold of. This puppy will show up as “in stock” through an online retailer and disappear within minutes; it’s been wild. It’s running stock Android 3.0 (Honeycomb), boasts a dual-core Tegra 2 processor, 16GB of internal storage, front and back cameras, and one of the nicest 10″ screens you’ll ever see. Oh, it also has this really nifty keyboard dock (sold separately) that can essentially turn your tablet into a fully working laptop. Yep, it’s a beast of a tablet – arguably the best on the market today. 1. You must be a U.S. resident. 2. Then follow us on Twitter. 4. And you are entered! 5. A winner will be chosen at random from all entrants tomorrow at 2PM Pacific. Be sure to keep it close though, as we have so many other cool things to give away this week including a XOOM WiFi and an Acer Iconia tablet. And as we reminded you this morning, subscribing to our feed and following us on Facebook and Twitter is going to set you up to hopefully walk away with some goodies. Amazon's Set of Android Tablets to Debut During the Holidays, Priced at $349 and $449?